Genco Shipping & Trading Limited announced yesterday the appointment of Captain Robert Hughes as Chief Operations Officer, effective January 22, 2019. Reporting to the Chief Executive Officer, John C. Wobensmith, Captain Hughes will be based at the Company’s headquarters in New York and will oversee Genco’s operational and technical divisions. Captain Hughes has over 20 years of operations and leadership experience in the drybulk and broader shipping industry. Most recently, Captain Hughes has been employed by Cargill Ocean Transportation, serving as Americas Operations and Global Technical Manager. Prior to joining Cargill in 2013, he served as Deputy Commercial Operations Manager for OSG Ship Management, and held senior positions at Stolt-Nielsen and the U.S. Merchant Marines. Since 1997, Captain Hughes has also held a variety of active and reservist U.S. naval positions in Asia, East Africa, Europe and the Middle East, currently serving as a Commanding Officer at Military Sealift Command in the U.S. Navy Reserve. 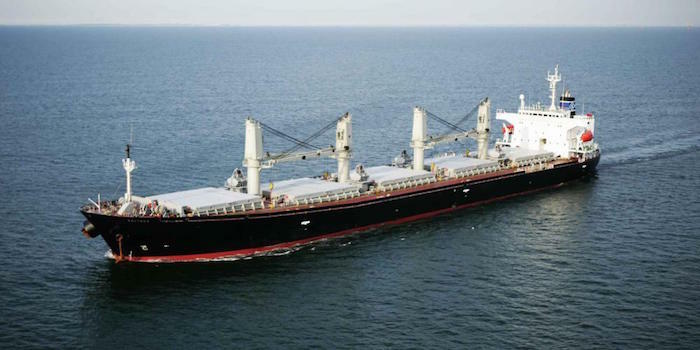 Genco Shipping & Trading Limited transports iron ore, coal, grain, steel products and other drybulk cargoes along worldwide shipping routes. As of December 18, 2018, Genco Shipping & Trading Limited’s fleet consists of 17 Capesize, four Panamax, six Ultramax, 20 Supramax and 13 Handysize vessels with an aggregate capacity of approximately 5,223,000 dwt.